Edition Dog is a relatively new monthly magazine full of in-depth and detailed information written by professionals. Each of the features focuses on dog health and wellbeing. Issue 5 features the Dachshund and has a health article on Intervertebral Disc Disease. Photos of SDA Secretary Wendy Starkey’s Smooth Dachshund Ramsay are in the main feature and there are interviews with Breed Council Chairman Ian Seath and Health Committee Pet Advisor Aimee Thomas. We are grateful to Edition Dog for including a full-page advert for our Charity, Dachshund Health UK. Download our 2018 Health Report here or click the image below. 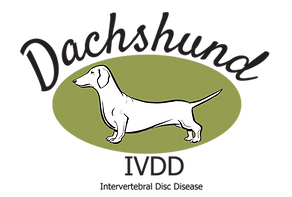 Have you completed our DachsLife 2018 Breed Survey yet? We’ve already had over 1700 responses to our 2018 survey. Please submit a report on your Dachshund(s). We’d like to know about healthy dogs as well as those who might have a health problem or those who have died. We’re particularly interested in finding out about dogs that have been diagnosed with cancers. All responses will be treated as confidential and all results will be presented anonymously. No owners or dogs will be identifiable from the reports produced. You do not have to tell us your name, or your dog’s name, if you do not wish to. Please submit a new form for each additional Dachshund using the link at the end of the survey. Download the full DBC Health Report 2017 (pdf). More than 200 Dachshunds and 300 of their owners descended on Caldicot Castle near Chepstow on September 10th for a day of fundraising and fun. The day was organised by Charlotte Baldwin who runs the “Dedicated to Dachshunds with IVDD” support group. Charlotte is one of the Dachshund Breed Council’s Pet Advisors and has already raised over £14000 to provide strollers, wheels and rehabilitation support for Dachshunds affected by back disease. Despite it being a grey day with occasional downpours, everyone and their dogs participated enthusiastically in the Fun Show Classes and the walk round the castle. With raffles, competitions, cakes and doggie treats, there was plenty to keep people and dogs amused. The event was being filmed by the BBC for the One Show and their presenter Angellica Bell co-judged the “Waggiest Tail” class with Breed Council Chairman Ian Seath. Angellica said, on her Instagram page, “Met some kind, friendly people as well as lots of adorable dogs“. The Breed Council has a new Health website at www.dachshundhealth.org.uk where there is lots of advice on caring for a Dachshund. A BIG THANK YOU to Charlotte and her team for all their hard work. Today, we have launched our new health website. We’ve refreshed the design to make it easier for you to find important Dachshund health information more quickly. To start with, many of the pages will link back to our legacy health website but we will gradually update the information and incorporate it into this new site. There is a wealth of information on the old site which we will keep as reference resources and for those people interested in more detail. We want to keep this site user-friendly, clean and simple. In order to avoid duplicating existing content, particularly our advice on buying and owning a Dachshund, we are also including links to material on our main Breed Council website. We also have our dedicated IVDD (Back Disease) website which remains the “go to” place for information on IVDD. This new site links to the IVDD one to avoid duplicating information. Thanks to the generosity of the Little Legs Fundraising campaign we are able to offer further subsidies for dogs screened in August and September. Lisa Roylance and Carley Denton have raised £900 and we can therefore offer 9 dogs the chance to be screened for just £100. The normal price is £300 at a CVS referral practice, reduced to £200 with a subsidy from the Breed Council. Now, on a first come, first served basis, we can offer a further £100 subsidy. You will have to pay the CVS vet £300 and then reclaim £200 from the Breed Council’s IVDD Fund. If you plan to breed from your Dachshund and he/she is aged 24-48 months, you can screen your dog. Contact Ian Seath to apply for the special £200 subsidy. A HUGE THANK YOU to everyone who is supporting Little Legs Fundraising.